If the lives of the personnel at the Russian naval base in the Syrian port of Tartus are put at serious risk, they may be evacuated, Russia’s Navy chief says. This comes as Russia holds a major naval drill not far from the Syrian coast. “If an emergency happens, we will remove the base’s personnel,” Vice-Adm. Viktor Chirkov told Echo Moscow radio Saturday, when asked what the Russian military would do if the base at the Syrian port Tartus came under attack. He added that it would be up to the Russian president to order such a move. Earlier, Navy sources warned that Russia currently has enough capabilities to defend its base in Syria from a rebel attack. This was in response to threats from the Free Syrian Army, who said they would target the base or Russian warships directly for Russia’s support of the Syrian government. The Tartus base is used for repair and refueling of Russian military vessels in the Mediterranean. It is currently manned by some 50 sailors and officers. The base was first established in the 1970s as part of the Soviet Union’s effort to contain growing Israeli influence in the Middle East. The base suffered from neglect in the 1990s, but Moscow decided to beef up its military presence in the region in 2008, which meant more investment in the Tartus base. In August 2010 then-commander of the Russian Navy Vladimir Vysotsky said the base would be upgraded to service high-tonnage ships, including aircraft carriers. On Thursday, Vice-Adm. Chirkov told the media that Russia intends to preserve the base. The Tartus base has come into media spotlight lately, after Russia launched massive naval drills in the Mediterranean Sea. 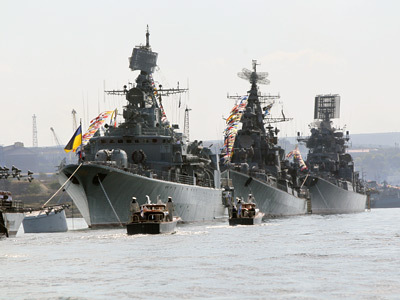 The Navy deployed 20 warships and support ships for the exercise. Several of the vessels in the fleet carry units of marines on board. 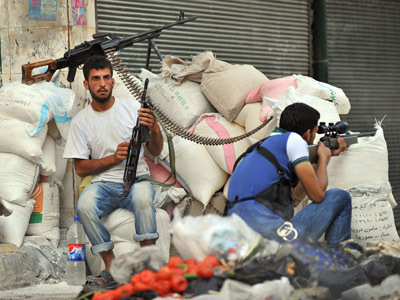 Some media speculated that the ships and ground troops could be used to help Damascus in its crackdown on the opposition. Moscow denied the allegations, saying the exercise was scheduled long before the Syrian conflict escalated. 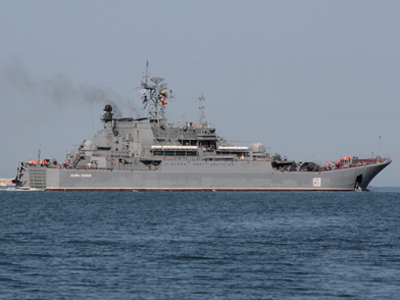 The Russian fleet is not even expected to visit the Tartus base as part of the drills. 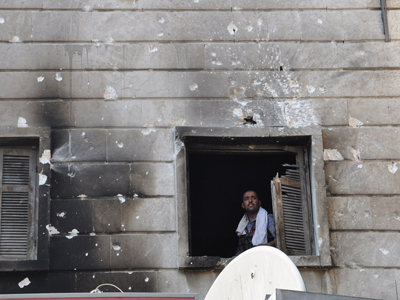 The 17-month-long armed conflict in Syria has left 16,000 people dead, according to UN estimates. The armed opposition is struggling to oust President Bashar al-Assad’s government with support from the US, some European countries, Turkey, Saudi Arabia and Qatar. The Syrian government says it is facing a covert foreign intervention. All eyes on Aleppo: Major battle looming?